This blog is for Latter-day Saints who love to read. It is a place to tell about books you have read and see what others recommend both in the LDS market and the national market. If you would like to be able to post to this site e-mail Jennifer and you can be added as an author. Award-winning author, Tanya Parker Mills (2009 Indie Book Award Winner for The Reckoning), delivers a fascinating story in A Night on Moon Hill when Daphne Lessing’s comfortable routine of life is disturbed when she discovers a body in her pool. The body belongs to her most talented creative writing student, and he’s left a poem for her. When Daphne realizes that the student’s death is not random, but connected to her hidden past, she is faced with several uncomfortable changes that are about to take place. She learns that part of the student’s will includes the request that she take over the care of his half-brother, a ten-year-old boy named Eric, who has Asperger’s syndrome. A Night on Moon Hill is a carefully crafted and beautifully-written story that follows Daphne’s journey as she discovers that the routine of her life is made much better when she shares it with someone. Eric changes everything, and in those deviations, Daphne finds a better self as she opens her mind to more possibilities in life, including moving forward with courage, and allowing another person into her heart. I haven't read many lds books but I actually know an author that has been published with that genre. It's not a large audience but certainly a dedicated one. I will know the author first.that has been published with that genre. It's not a large audience but certainly a dedicated one. I haven't read anything by Tanya Parker Mills. I've read great reviews though so I am anticipating something very good when I finally get around to reading some of her work. 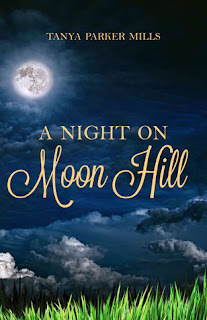 I think I'll start with A Night on Moon Hill because your review is great. I love reading the Ensign and such I wonder if I'd like any of these LDS books. I've heard great things about them from my grandma so maybe I'll try them out.